MCA staff offers counseling on the problems such as health, life styles or accommodation so that the students can have effective learning environment. They can communicate in Korean, Chinese, Vietnamese, and English as well as in Japanese. MCA students are required to have National Health Insurance Policy to prepare for accident or illness. National Health Insurance is sponsored by the government, and run by the local municipalities. With the insurance, 70 % of medical cost is paid by the government and a student will pay only 30 %. Medical fee in Japan is expensive. If you are not covered by the insurance, it will cost more than ten thousand yen for one visit to a hospital for catching a cold, for instance. Insurance premium for one year is about 12,000 yen for Tokyo 23 wards residents. 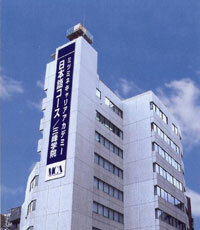 MCA fee at the enrollment includes ten thousand yen for the insurance policy.